The revised 109 Columbus Drive is filling in the long abandoned construction site three lots west of Grove Street. Now branded as The Grove, 109 to 113 Columbus Drive will include one and two bedroom rental units with ground floor retail space. While a small, The Grove is an important urban infill project vital to the revitalization of Columbus Drive. The former parking lot and then later abandoned construction site contributed nothing to the urban fabric. The three other storefronts between Grove Street and 109 Columbus experienced a high turnover rate as foot traffic along Columbus was minimal. 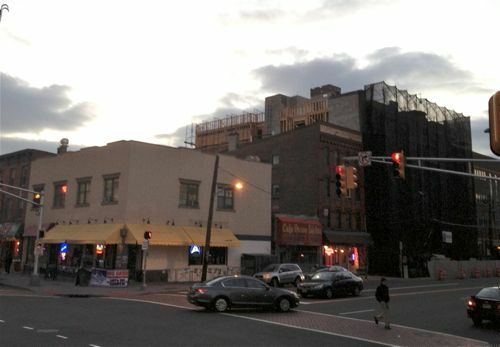 The north side of the street has long been marred by the windowless rears of buildings fronting on Newark Avenue. However, adding new retail spaces and filling in an empty lot should encourage more foot traffic along the segment of Columbus Drive between Grove and Barrow Street. Below, a front angle of the building. 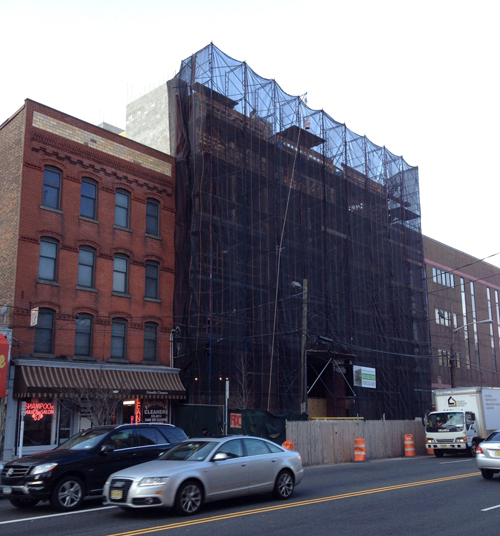 Five years ago, a similar project broke ground on a surface parking lot. Those plans called for 10,000 square feet of retail and 18 apartment units. Construction on the small project progressed slowly in the early weeks of 2007. 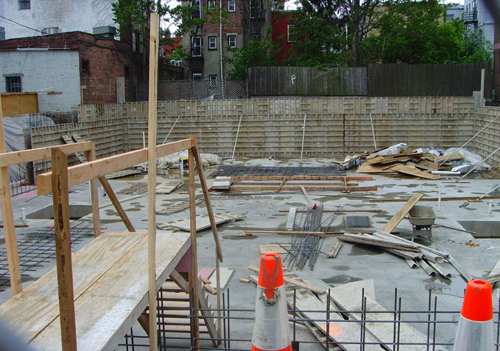 After digging out a basement and pouring a foundation, construction on the project slowed. Some subgrade concrete pillars were poured, but by the end of the year the site was abandoned. The hole left behind filled with stagnent water and 109 Columbus became another victim of the financial meltdown. However, four years later, in early 2011, new construction fencing replaced the former barrier. 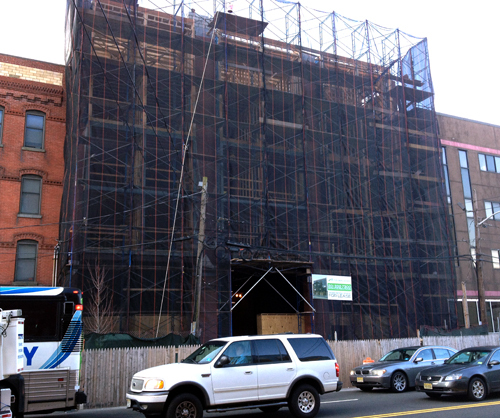 By late summer, the site was no longer idled and new work began progressing. 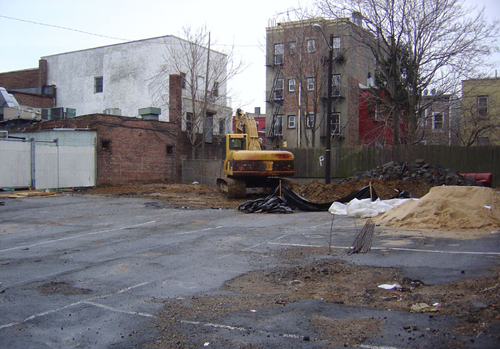 Below, the parking lot when the development broke ground in 2007. Below, site as it look in April of 2007. For more than four years the property sat abandoned more or less in the below state. The project is within sight of the Grove Street PATH station.